I was so happy to kick-off my year of traveling with my first out-of the-region trip this year to Dumaguete City and Siquijor via Kabankalan City (Negros Occidental). 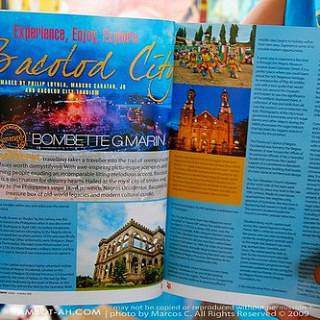 I was so pumped about the trip since it was my first time to visit the genteel City of Dumaguete and the mystical island of Siquijor. I originally planned for one night in Dumaguete and three days and two nights in Siquijor but I had to spend one night in Kabankalan City to account for my transport from Iloilo City and extend another night after the trip since I liked Dumaguete City so much and wanted to take more pictures of the place. All in all, my trip bloated to six days and five nights, that’s almost a week! 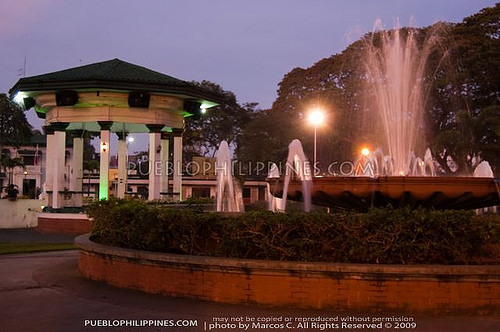 To get to Dumaguete City from Iloilo, I had to ride a ferry to Bacolod City, Negros Occidental and then take a land trip all the way to Dumaguete City at the other side of Negros Island. I decided to spend one night in Kabankalan City since it was just along the way and I wanted to revisit Mag-aso Falls. Unfortunately, I arrived in Kabankalan City late from Bacolod City since I took the wrong bus, the one with a longer route and multiple stops (economy) when I should have ridden a 1-stop bus to Kabankalan. I didn’t get to visit Mag-aso Falls because it was already too late in the afternoon :( It wasn’t all at a loss though, since I got to take a brief tour of the city and spend some time with my college friend who lives there. 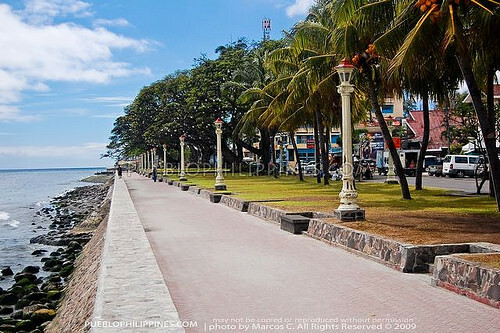 The next day, I took the first trip to Dumaguete. It was still dark when I arrived at the bus terminal. Oftentimes I surprise myself why I’m able to wake up so early for travel trips since I’m (and my friends know me so well for this) a chronic late comer. I arrived in Dumaguete City just in time for breakfast in Sans Rival and meet Eric, who flew in the same morning from Manila. Sans Rival is famous for its Sans Rival (as the name suggests) and sylvannas, they also have tasty meals and other pasties. I loved Sans Rival because everything was sold at student price! After our fill, we dedicated the rest of the day to tour Dumaguete’s most prominent landmarks such as the Rizal Boulevard, Dumaguete Belltower, Siliman Hall, and other attractions such as the Siliman Marine Lab, Sidlakan Negros Village, and Oriental Negros Capitol. 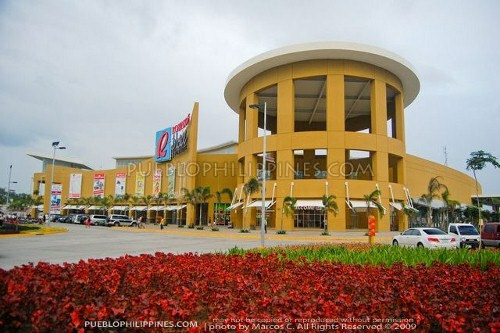 Afterwards, we went to the newly opened Robinsons Place Dumaguete, one of the best designed provincial malls IMO. We strolled around for a bit while waiting for Lew, a friend from skyscrapercity, Lew was our host for the night and let us stay with him in Bacong, a town located south of Dumaguete. The next day, Me and Eric dropped by Bacong Church for a short visit and then went on to Dumaguete Pier to catch the ferry to Siquijor. We took a Delta Ferry, which took us to Siquijor in just one hour. The ferry dropped us off in Siquijor town, the capital of Siquijor Province. I felt so ecstatic the moment I saw Siquijor. The water was so blue and inviting and the whole coastline was covered with white sand. It truly makes for a great first impression for tourists to this paradise island. After our arrival we went straight to the plaza to visit the St. Francis de Assisi (Siquijor) Church, Bell Tower, and Convent. There were several tricycle drivers who hawked us continuously starting from time we stepped out of the pier exit. We did manage to find a driver, who agreed to take us to Hotel Agripino in Salagdoong Beach for P400. 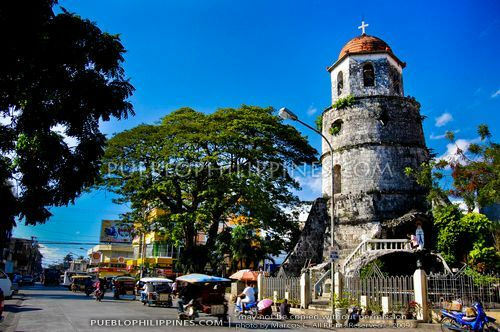 We requested him to have a stopover in Larena Church and Belltower along the way. Salagdoong Beach was awesome! 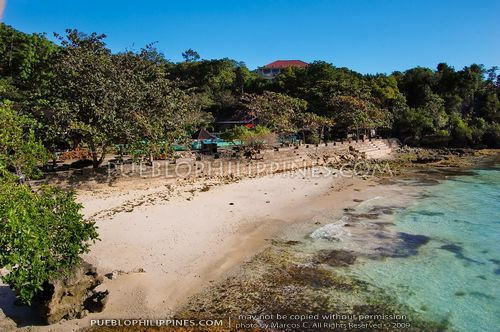 The terrain set-up struck me as a smaller version Shangri-la Boracay, wherein there are two beach coves with an islet/rock cliff in between providing a great vantage point of the whole area. We got a double room in Hotel Agripino for just P800, not bad considering the place and service. We were the only locals on the beach that afternoon. 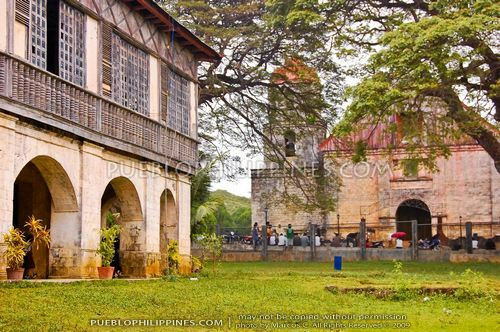 During our visit, Siquijor seemed to be more frequented by foreigners than local tourists. The next day, we hired the same driver to tour us to the different attractions of Siquijor Island. For a couple of hours, we were able to visit Santa Maria Church, St. Isidore (Lazi) Church and Convent, Cambugahay Falls, Biggest Balete Tree, San Juan de Capilay Lake, San Juan Church and Belltower, and San Juan Beach. The whole tour cost only P700. We returned to Salagdoong to continue day two of being the only locals bumming out on the beach. I was supposed to go back home on the third day but after arriving in Dumaguete that morning and seeing the perfect blue skies, I couldn’t resist extending my stay for one more night in the city. Lew joined me later that night to get a feel of Dumaguete’s lively nightlife. Find more posts about Favorites. 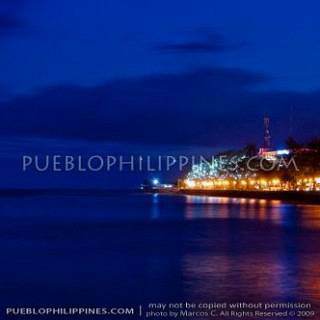 Discover more blogs and travel tips in Dumaguete City, Siquijor. 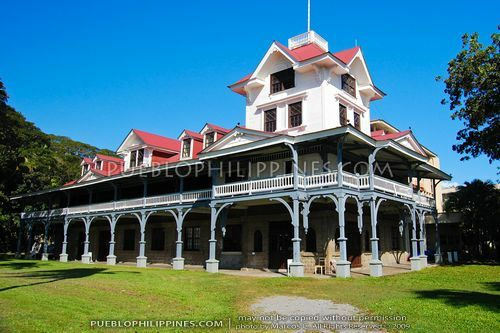 :) I wish Siquijor would remain quaint and seemingly “untouched” by tourists. I would love to go back there. Sans Rival’s Silvanas are so yummy. Wah, daw makaon ako sang silvanas. Barato guid man. Maayo may robinson’s na sa dumaguete. I hope so too. I really live the vibe/atmosphere there. I wished I could have explored more of its mystical side. Nice trip. 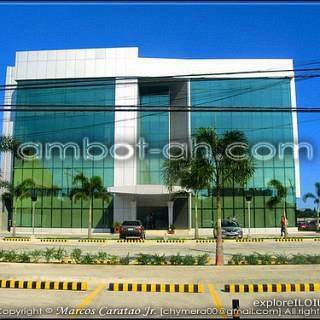 How long was the trip from St. Francis to Salagdoong? Nice post! 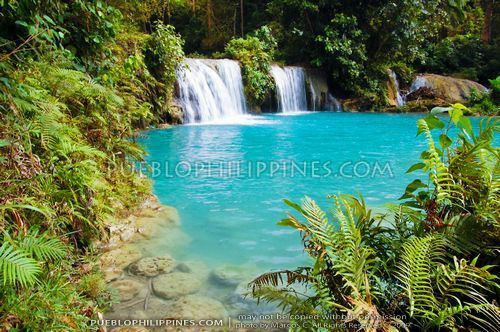 I really miss my province Siquijor! And your blog made me feel more excited on my February Trip to Dumaguete and Siquijor. Thanks for dropping by Mackie :) Hope you have a great time in Siquijor! Oo nga, pretty tight kung mag Siquijor kayo and Apo Island. 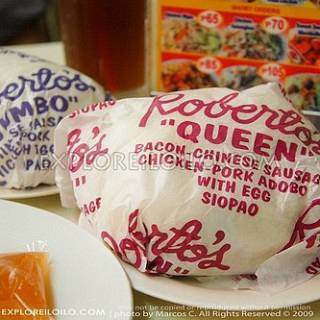 Parang doable naman siya. Pwede na ma tour ang Siquijor in just one day, Bais is near Dumaguete lng naman … I’m not sure with Apo Island since I haven’t been there. Have fun with tour trip! Nice pics! 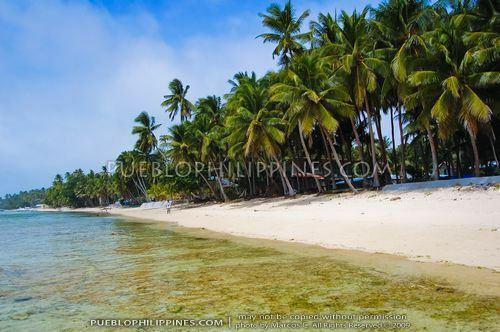 I hope to visit Siquijor soon. 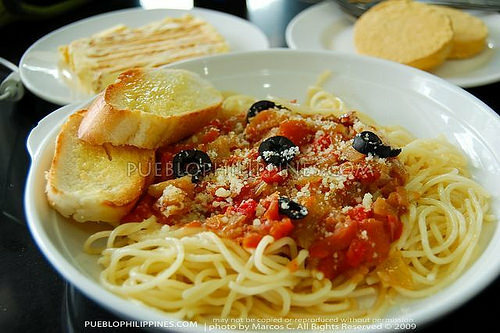 I really love Dumaguete, nice place and yummy foods. 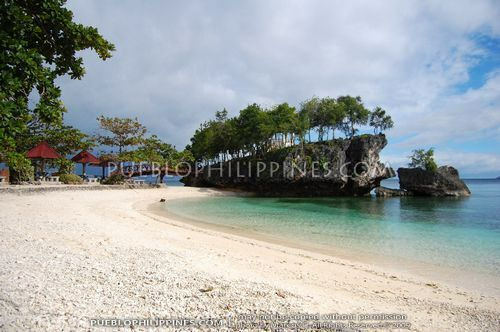 If one visit Dumaguete, he/she should not miss Apo Island, a must-visit island for divers/snorklers. 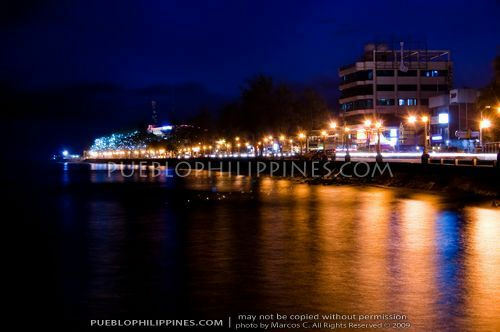 Dumaguete! i wouldnt mind retiring here in my old age. :) thanks for the post! 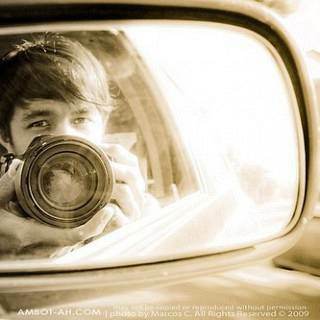 will be in dumaguete by Feb 2012. :) your photo are so amazing! luveet! 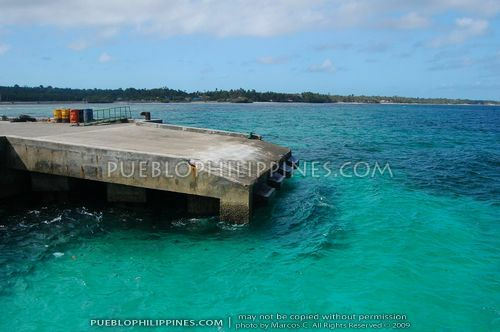 Ohh… that’s something to look forward to next time i’m in Siquijor. I wanted to try jumping off the cliff but it looked really high so I chickened out, hhaha. I am doing a favor to our very kind driver and tour guide when we went to Siquijor. ive you very high prices and they will follow you like bees. 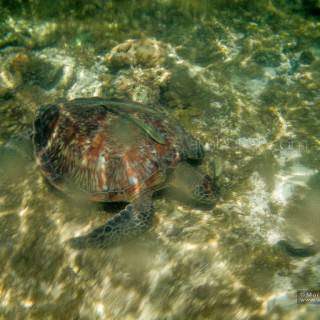 I posted some of our pictures and amazing spots of Siquijor. Please contact him directly to arrange your itinerary and if you have any questions.